At the Fisher Law Office, the focus is always on the client. Our mission is to provide personalized and comprehensive solutions to the concerns and challenges of each client. The Fisher Law Office practice is limited to wealth planning, probate and estate administration, business law, and asset protection. 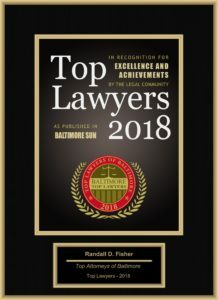 We serve clients in Annapolis and all around Maryland, including Severna Park, Edgewater, Crofton, Arnold, Pasadena, Glen Burnie, Bowie, Southern Anne Arundel County, Calvert County, Queen Anne’s County, Caroline County, Talbot County, and more. Our office is conveniently located in Annapolis, Maryland, near the Anne Arundel County Medical Center and the Annapolis Westfield Mall. 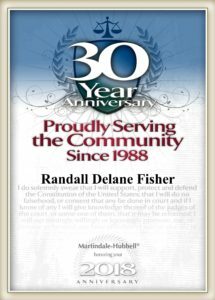 Mr. Fisher has been practicing law since 1988, and opened the Fisher Law Office in 2004. 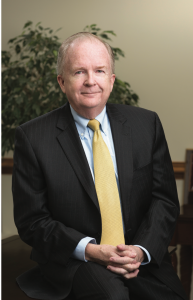 He is a member of the Business Law and Estate Planning sections of the Maryland State Bar Association. 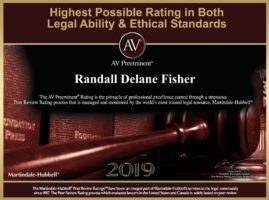 He holds the highest ratings for ethical standards and legal ability from Martindale-Hubbell, the legal profession’s most trusted peer review organization. Mr. Fisher is also a member of WealthCounsel, a national network of estate and financial planning practicitioners who collaborate to ensure changes in the law are reflected in the work they do for their clients. He is a member of a number of community and professional organizations, including Rotary International, the Anne Arundel County Bar Association, the District of Columbia Bar Association, the State Bar of Texas, and the American Bar Association. He also served as the Chairman of the West Anne Arundel County Chamber of Commerce through 2016, and subsequently oversaw the merger that formed the Central Maryland Chamber of Commerce—now the largest Chamber of Commerce in the State of Maryland.